Excerpted from Ando en Cueros. I’ve never known exactly what to say about my paintings of windows because for more than twenty years words have fallen short when I tried to talk about them. There are things which cannot be explained; they can only be sensed. Each time I encounter one of my windows or simply sit with one for a few minutes, I feel better, my spirit is transported. I don’t know why, but then I’ve also never known why the music of Bach or Mahler or Poulenc transported my spirit. After an exhibition of the windows in Santa Fe, the art critic for the Santa Fe Reporter wrote that the winows were not New Mexican paintings. He was lavish in his praise of them, but he believed them to be New York paintings, not New Mexican. I had painted windows for seven years and although I had lived in New York for three of those years, never once had I looked at a New York window as subject matter for my paintings. There was absolutely nothing New York about them. They were and still are as New Mexican as the back of the church at Ranchos de Taos, and so in a gesture of annoyance with the reporter from the Reporter, I painted the back of the Ranchos de Taos church. I resumed painting windows and it would be two years before I painted a second painting of a church. Today, as I paint in my studio, my concerns are still about middleground, foreground and background: they are a continuation of those earlier value and color studies. Beyond these considerations, I have nothing to explain except that the windows transport my spirit. Waldrum, H. Joe. “The Windows Transport My Spirit” Ando En Cueros. Bosque, NM: Chinaberry Press, 1994. 56. Print. 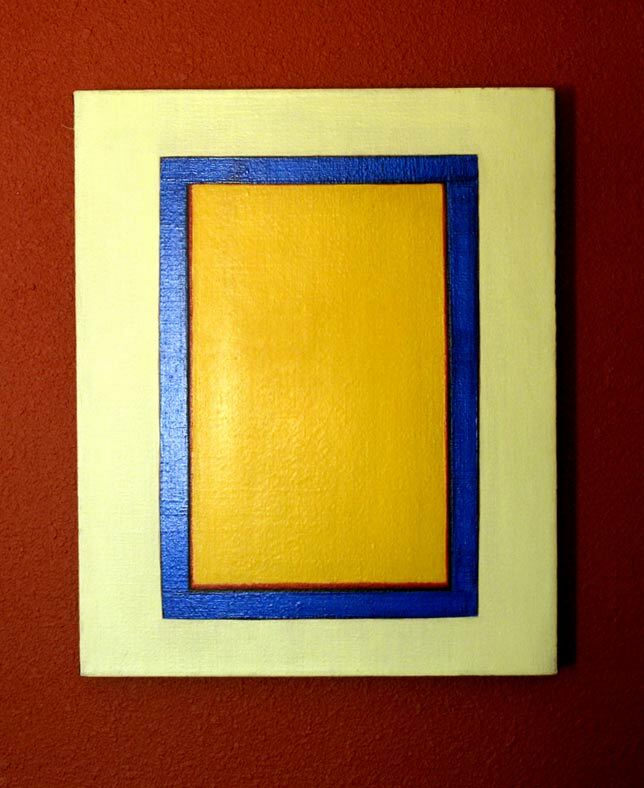 Elena, 27 1/8 x 22″ acrylic on linen, 1980. Peter Bowles collection.